It will have an improved 16MP rear camera - it will have a 16MP sensor and is expected to be one of the biggest improvements in the new J7 (2018). Faster 8-core Exynos processor - this processor scores very well in most benchmarks so that is also going to be an improvement in regards to J7's performance and hardware specs. 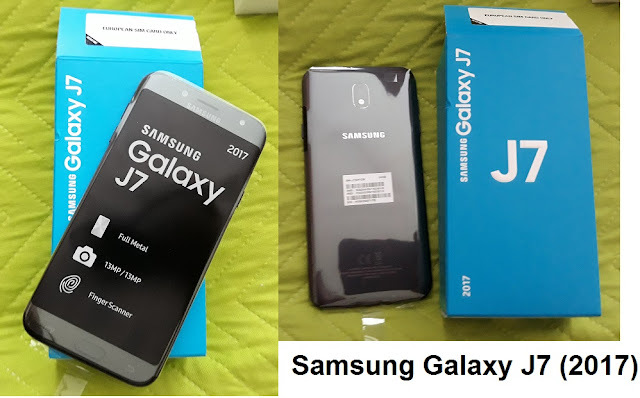 More RAM - Samsung Galaxy J7 (2018) SM-J720F and SM-J720F/DS will be equipped with 4GB of RAM, compared to the 3GB in the J7 (2017) and 4GB in J7 Pro from the last 2017 generation. The all new 2018 J7 would keep the 5.5 inch Super AMOLED display. An upgrade would be the brand new J8 which is expected go be the flagship in Samsung's J-series. I am super excited to test and review the Samsung Galaxy J7 (2018) SM-J720F or SM-J720F/DS and share my first impressions. I guess it will take at least couple more weeks waiting time but I am sure it will be worth it so stay tuned for updates.